In 2017, the Okoboji Community Foundation, an Affiliate of the Community Foundation of Greater Des Moines, received an ICoF Capacity Building Grant to assist in funding their Emerging Leaders program. This program was designed to identify and help build the next generation of leaders in the Okoboji area. Mary explains how the program was developed and what they gained and learned in her notes below. Identify and engage Emerging Leaders (ages 25-40) who can bring ideas to build their peers’ interest in serving nonprofits in our Lakes Community. Expand visibility, value recognition and holdings of new and/or existing nonprofit endowment funds in the Okoboji Foundation Family of Funds under Community Foundation of Greater Des Moines. 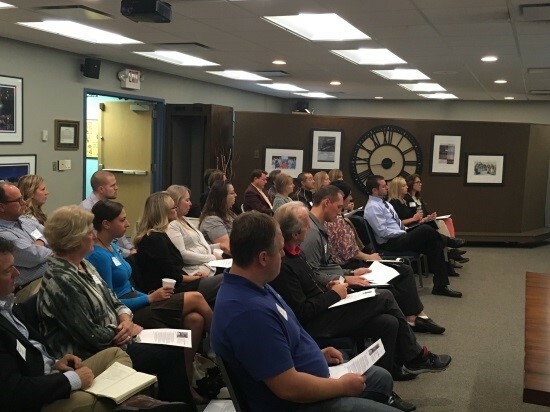 A core group of 25 Emerging Leaders (ages 25-40) participated in seven events/activities facilitated by Okoboji Foundation to gather their perspective about the future of nonprofits in our community. Co-mentoring was used, bringing Emerging Leaders into board member and donor events for greater engagement with the targeted age group. Understandably Emerging Leaders are in the age range (25-40) of most demanding time and cash-flow crunch with careers, personal relationships and families. Through our facilitated networking and follow-up survey, we found this group is passionate about the small town feel and unique natural resources of our Lakes Community, but conversely ranked Uber and Target as amenities they would like available here. We learned from this project that gathering input from Emerging Leaders through continuing social interaction produced ongoing expense without agreed upon action related to nonprofit involvement. 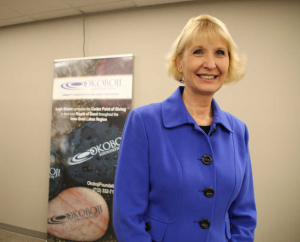 We will continue co-mentoring by inviting Emerging Leaders to attend existing Okoboji Foundation functions. There is a new Lakes Young Professionals group being formed specifically for socializing without direct ties to support of community nonprofits. We will interact with their organizer offering survey results and presentations/interaction as desired.